Charee Mag is holding a Easter competition where you can get your hands on £190 worth of amazing beauty prizes. Charee Mag is a online site filled with fashion, beauty, stylist interviews, competitions, guest posts and so much more to inspire all you fashion and beauty lovers. So head on down to Charee Mag for your daily fix of fashion. Now time for the competition! Every week for a month a blogger will be posting a hint on their blog. Once you've collected all the answers after all 4 hints have been revealed head on down to Charee Mag to enter the competition. It's that simple! I'm really excited to be part of such an inspiring magazine and a great competition. So you want to enter in a chance to win some amazing prizes? Now's your chance. Good luck all your beauties, and here is the second clue. Note down what you think is the answer and stay tuned for the future clues. 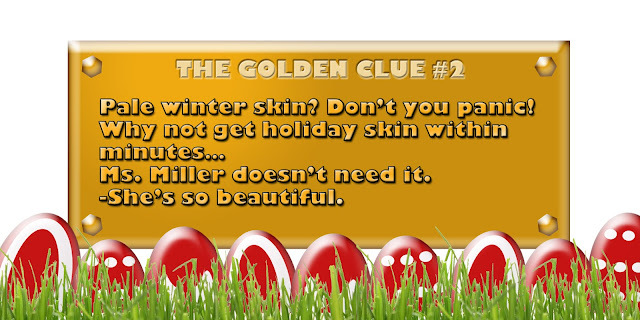 To find the first clue head on over to Carousel Diary.